The first game of the 2018 Major Series Lacrosse season is only hours away with Cobourg Kodiaks hosting Brampton Excelsiors on Sunday at 6:00 p.m. in Cobourg. Below you will find a quick review of some off-season player movement by all six MSL teams. Coming off a 4-12 season, where 7 wins were necessary to make the playoffs, Brampton has made changes in the off season. The most significant is a change in team ownership with Joe Norton owner of Bug Juice Company becoming the new owner. This off floor stability allows the Excelsiors to focus on improving the on-floor product. Brampton's President Ziggy Musial noted that "Together with Joe, we will promote and grow the game of lacrosse within the Brampton community. With his experience in marketing, his vision is to build on the success of our history and to rebuild the Major Excelsiors into a competitive, championship team again, both on and off the floor". General Manager Zeny Lipinski made several player acquisitions including Joel Coyle and Jake Crans who will help on defence. The acquisition of Joe Halodais Maracle and Marty Hill should help on offence. Lipinski commented, "These trades will add quality to our lineup and make us a much more competitive team . 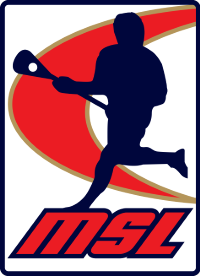 In addition, the Excelsiors added draft picks Adam Charalambides, MacKenzie Mitchell, Luke Van Schepen and Mitchel Wales from the 2018 MSL Entry Draft. The 2017 MSL season saw the Redmen finish in third place with a record of 7-9-2. They lost their semi-final series to the eventual Mann Cup champion Peterborough Lakers in six games. However, over the six games, the Lakers outscored Brooklin by 7 goals overall. There are many observers who felt when the series was tied 2-2, the Redmen could have been leading 3-1. It was that hotly contested of a series. That aside, lacrosse fans can expect some changes to the Redmen roster for the 2018 season. The team protected graduating Junior players Adam Perroni, Ethan Schott, Keenan Cook and Connor Kearnan. The MSL Entry Draft saw Brooklin add Holden Garlent, Nick Chaykowsky, Zach Bryant and Brent Noseworthy. Don't be surprised if the Redmen add some further talent with trades or the return of players who were not with the club in 2017. General Manager Brad MacArthur has stated, "We believe we have a core group of players that have been together and are ready to take the next step and seriously challenge for the Major Series Lacrosse Championship. We expect some new faces in the lineup this year that will help at both ends of the floor. Expect to see many of our draft picks and protected players get playing minutes in key spots throughout the year". The 2017 season saw Cobourg finish dead last with a record of 2-16 where they gave up more than twice as many goals as they scored. Expect that to change in 2018. John Webb, the General Manager of the Kodiaks was busy in the off-season adding nine new potential players to their roster including Dan Lomas, Jacob Ruest, Brandon Robinson, Kyle Killen, Nick Finlay, Steph Charbonneau, Liam Pattem, Rowan Kelly and goaltenders Kevin Orleman and David Diruscio Key returning players include Joey Cupido, Chad Cummings, Chris Cloutier and Luke Laszkiewicz. In addition, the Kodiaks hired Darryl Gibson as an Offensive Coach. Gibson has coached at every level from minor to NLL which will help with the younger skilled offensive players. Webb commented, "It's going to be an exciting season and we expect to be more competitive". With a record of 7-10-1 in 2017, the Rock finished in fourth place, just a single point out of third. In an exceptionally competitive semi-final series, Oakville lost in seven games to the defending 2016 Mann Cup champion Six Nations Chiefs. The Chiefs scored only four more goals that Oakville in the entire series. Josh Sanderson, General Manager of the Oakville Rock, noted "We feel we have a strong club, and want to get off to a good start. Playing Peterborough right away will be a good test for us. Should be a tight league this year". The Rock will have a bit of a different look up front with the loss of Stephan Leblanc and Rob Hellyer, but added Ryan Benesch and Johnny Powless. Returning players include Wesley Berg, Brett Hickey, Jeremy Noble, Connor Fields, Reid Reinholdt, Dan Macrae, Alex Crepinsek, Jason Noble, Mitch Desnoo, and Brad Kri. Nick Rose will start the majority of the games again for us this season, with Steve Fryer providng a reliable backup. Sanderson noted, "We feel like we’ve been knocking on the door, but this season will be one where we expect to take the next step. Our goal is to win the Mann Cup". Finishing first in 2017 with a record of 17-1, the Lakers won two highly competitive series in Ontario before eventually becoming Mann Cup Champions winning in New Westminster in six games. General Manager Paul Day commented, "We are excited to defend our title and we know it will be tough as each team in the MSL has improved , but we feel our fans in Peterborough will help us be the difference. MSL gets better every year and I think fans will see the most balanced league in some time". Adding to roster depth during the off season, the Lakers protected four graduating junior players who included Nick Finlay, Jake Fox, Kyle Killen and Jordan Stouros. Finlay and Killen have been since traded. In the MSL Entry Draft, Peterborough selected two local players - Tyler Gaulton and Trent Larock. The Lakers saw the departure of Brad Self who retired and sniper Curtis Dickson who has opted to play in British Columbia in 2018. However, they have added veteran Corey Small for some scoring and experience and veteran Andrew Suitor. In addition, returning from injuries are Cory Vitarelli, Chad Tutton and Nick Weiss. With a record of 14-3-1, the Chiefs finished second in the MSL in 2017. They eliminated Oakville in seven games before losing in the Ontario final in five games to Peterborough. Not content with the results, the Chiefs pulled off a blockbuster deal in the off-season with the Oakville Rock sending Johnny Powless and Ryan Benesch in exchange for Eric Fannell, Ryan Wagner, Bryan Cole, Ian MacKay and a third-round pick in the MSL draft. In a separate trade, Six Nations picked up defensive specialist Tyson Bell. Adding to the roster, Six Nations protected graduating juniors Tyson Bomberry, Doug Jamieson and Brayden Hill. They drafted Kason Tarbell and Dylan Riley in the MSL Entry Draft. General Manager of the Six Nations Chiefs, Duane Jacobs believes "The 2018 MSL season looks to be as competitive as ever. Our team has become a lot younger in some key positions, but it will take some time to gel. We're excited to see the return of Cody Jamieson who means so much to our team. We're optimistic about this coming season". 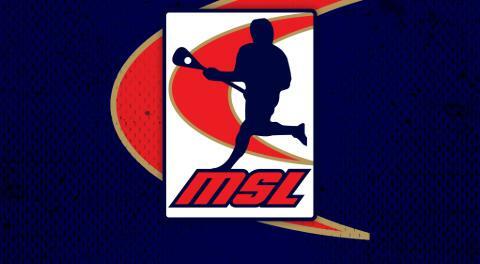 MSL Commissioner Luey spoke with enthusiasm as he noted, "The 2018 season looks very promising and will culminate with one of our Major Series Lacrosse teams hosting the Mann Cup in September. We encourage everyone to get out and support your teams with the best players in the world at your doorstep."